IJ-Hallen Flea Market – Kate. Lives. Loves. Learns. 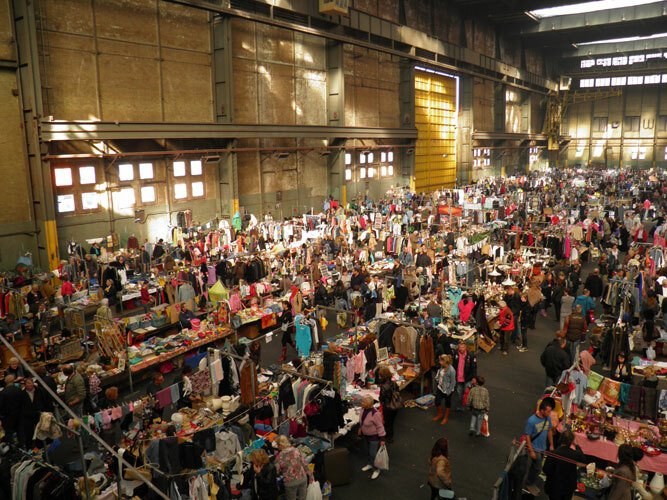 The IJ-Hallen flea market is the biggest in Europe and its a must for any market goer. It happens once a month over a weekend, Saturday and Sunday from 09.00 to 16.30. You can buy anything from furniture to clothes to salt & pepper dispensers and prices start from .50cent upwards. – Go with a list in mind to help you not to get overwhelmed. – This flea market is IDEAL for people with babies/toddlers/children as you can pick up clothes for so cheap and hardly warn. – If you have the energy and endurance you can pick up a whole new wardrobes here for summer/winter. – Come prepared with shopping bags to carry all your purchases. – Bring cash, its easier and some stalls don’t accept pinnen.